Kirsten Caroline Dunst (born April 30, 1982) is an American actress, model, and singer. She made her film debut in Oedipus Wrecks, a short film directed by Woody Allen for the anthology New York Stories (1989). At the age of 12, Dunst gained widespread recognition playing the role of vampire Claudia in Interview with the Vampire (1994), a performance for which she was nominated for a Golden Globe Award for Best Supporting Actress. The same year she appeared in Little Women, to further acclaim. 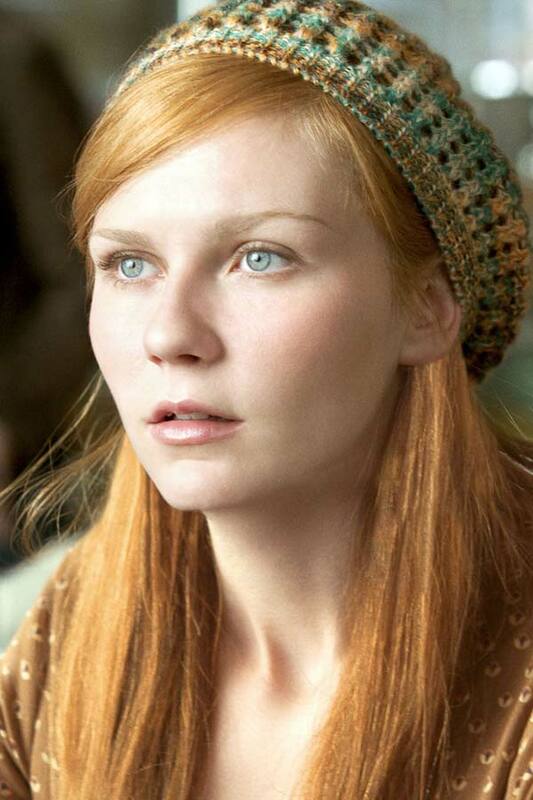 Dunst achieved international fame as a result of her portrayal of Mary Jane Watson in the Spider-Man trilogy (2002–07). Since then her films have included the romantic comedy Wimbledon (2004), the romantic science fiction Eternal Sunshine of the Spotless Mind (2004) and Cameron Crowe's tragicomedy Elizabethtown (2005). She played the title role in Sofia Coppola's Marie Antoinette (2006), and she starred in the comedy How to Lose Friends & Alienate People (2008). In 2001, Dunst made her singing debut in the film Get Over It, in which she performed two songs. She also sang the jazz song "After You've Gone" for the end credits of the film The Cat's Meow (2001). In early 2008, Dunst confirmed she was suffering from depression, checking into a treatment center before discharging herself in March and resuming her career.